I live in a predominantly white neighborhood in north Phoenix. Many of the local shopping centers are occupied by American-style retail stores and restaurants. 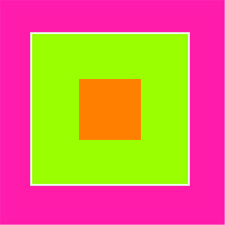 In the corner of one shopping strip however, a pocket of diversity stands out. 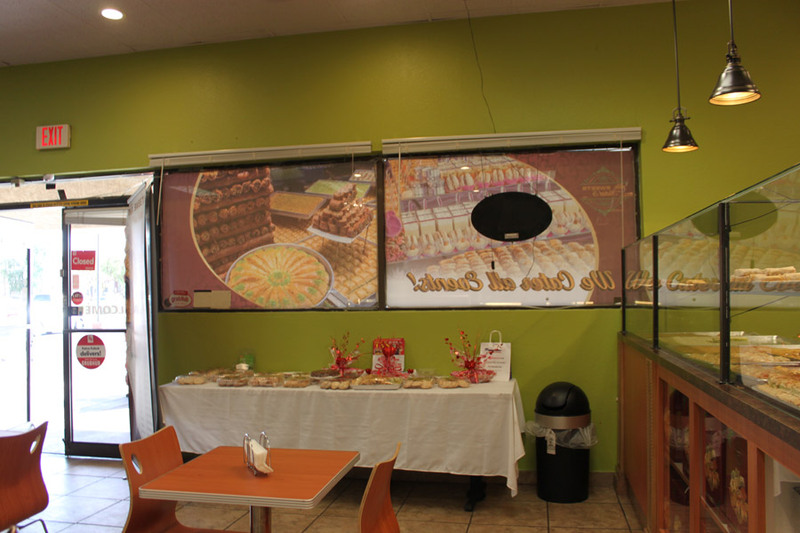 In good company with the Palms Kabob restaurant and halal Open Sesame Market, is Mr. Sweets, a Lebanese bakery. 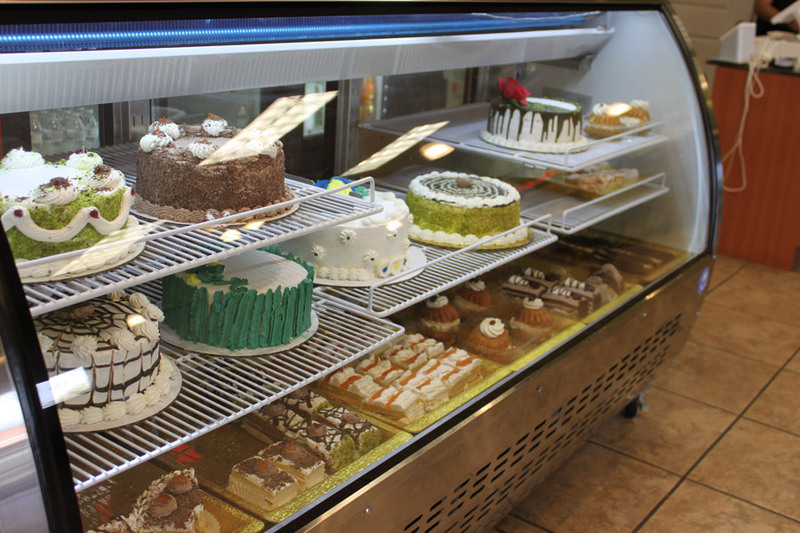 I entered the bakery, eyes scanning in awe of the array of cookies, varieties of baklava, ice cream, and cakes sitting elegantly behind their glass cases. 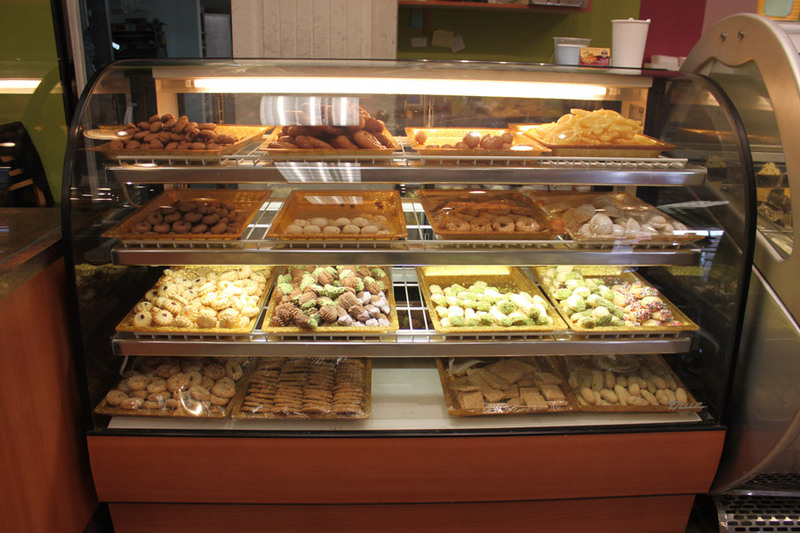 As I admired the variety of Middle Eastern pastries, the owner Michael Shatila came out and greeted me. As we talked about baklava and Lebanese ice cream, he also told me about his life and business. Michael moved with his family to Michigan from Lebanon in the mid-1970’s during the Lebanese Civil War. 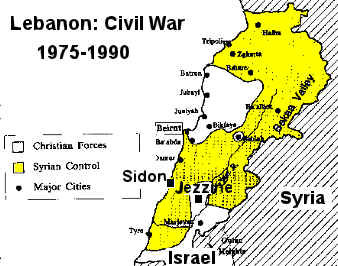 Nearly a million Lebanese were displaced from their homeland during the Civil War, which lasted until 1990. Many of them sought refuge in America just as the Shatila family did. For the Shatila family, the move to America was supposed to be temporary, but the family made America their home. 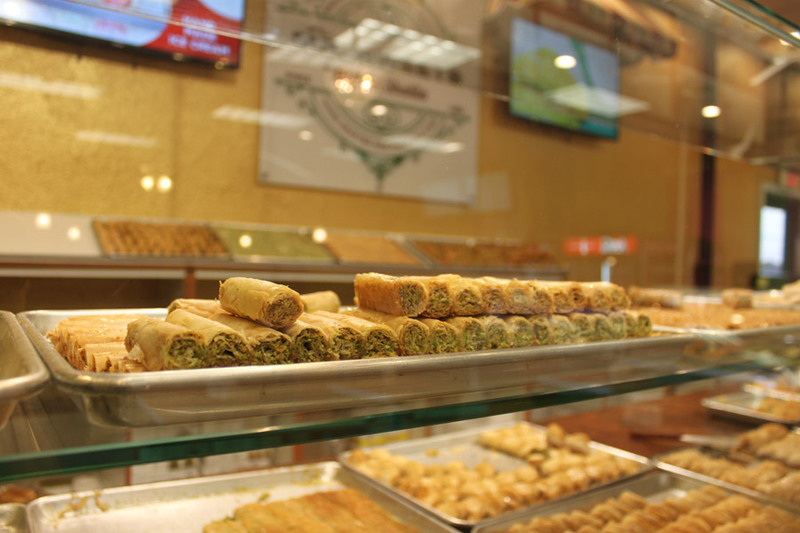 Michael and his brother began making baklava in Michigan, introducing this renowned Middle Eastern dessert to a community that had never had it before. After parting with the business in Michigan, Michael moved to California where he setup another business, before finally settling in Phoenix to be near his children. 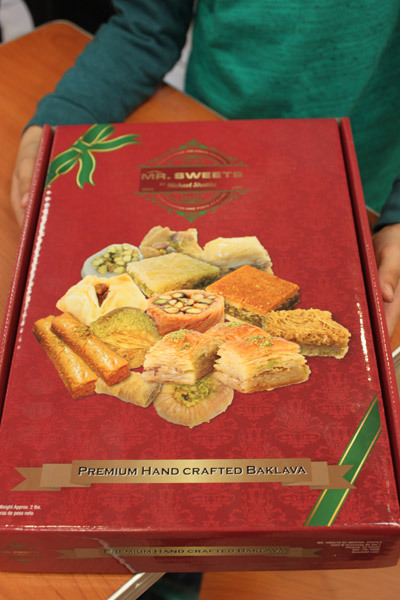 Michael is very proud of his varieties of baklava; he shared several samples with me and they did not disappoint. 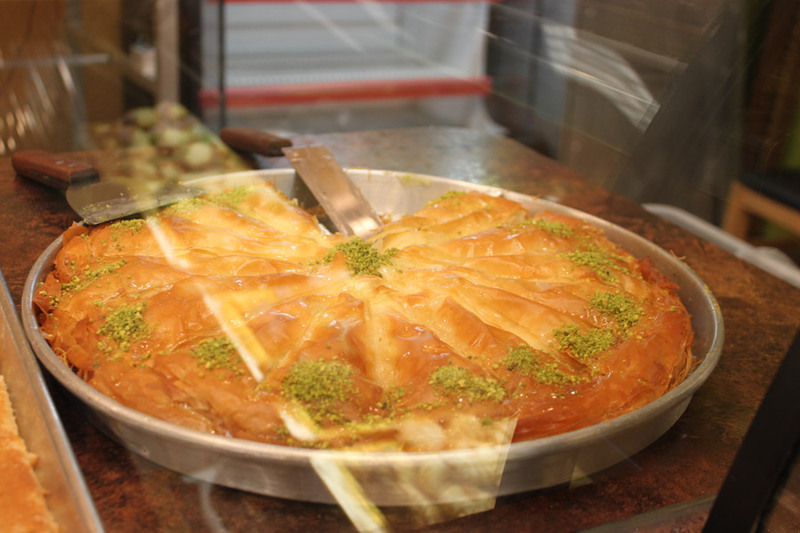 Baklava is a pastry that originated from the Ottoman Empire. 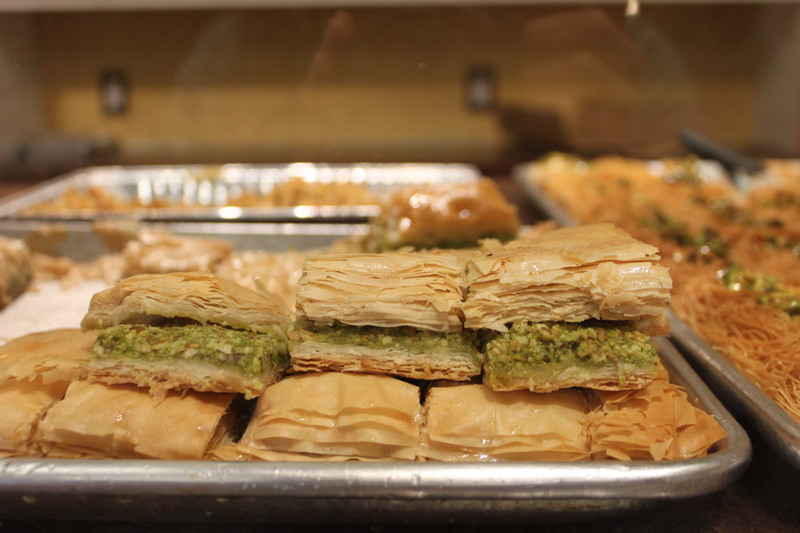 It consists of layers of filo dough that are filled with chopped nuts and sweetened with syrup or honey. 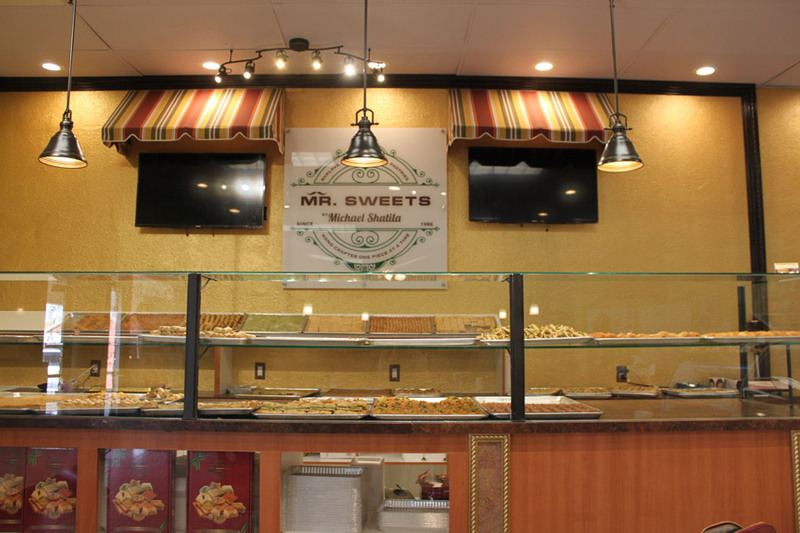 You don’t have to live near a Mr. Sweets bakery to enjoy his baklava; they can also be ordered and shipped right to your home. 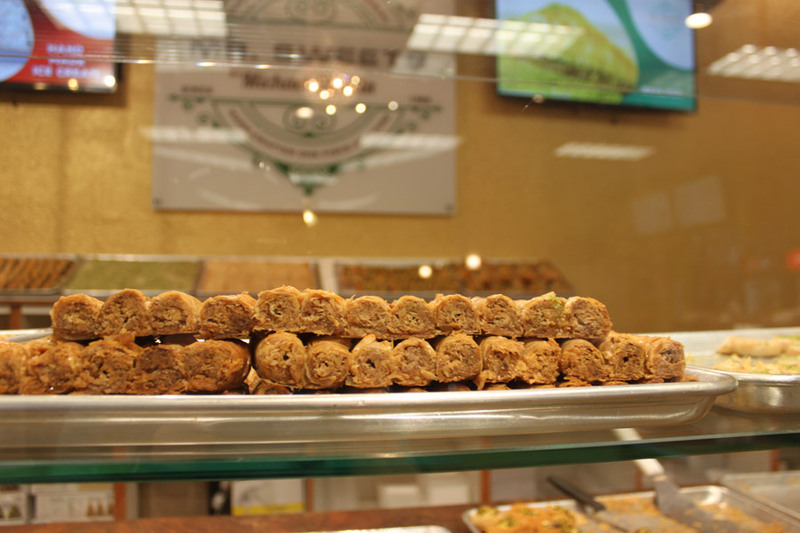 Other than the imported Turkish candies, everything sold at Mr. Sweet’s is homemade from scratch ingredients, including the Lebanese ice cream. 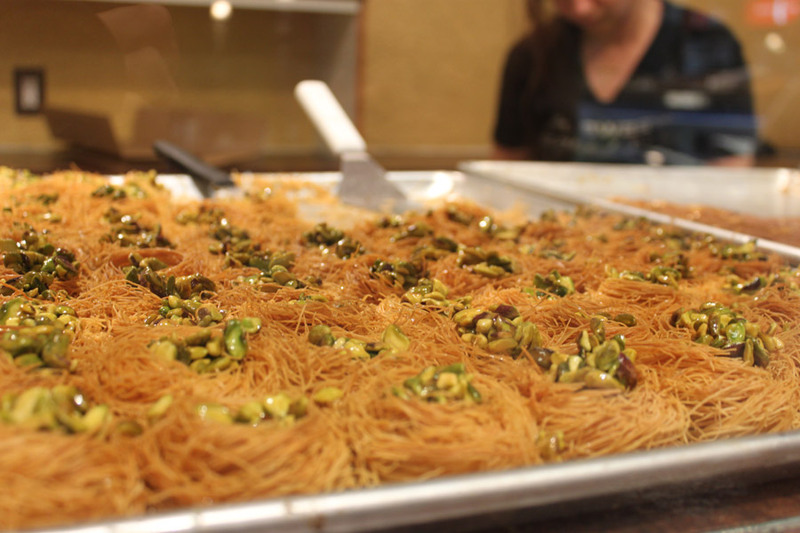 I was fortunate enough to try the pistachio and the ashta flavors. 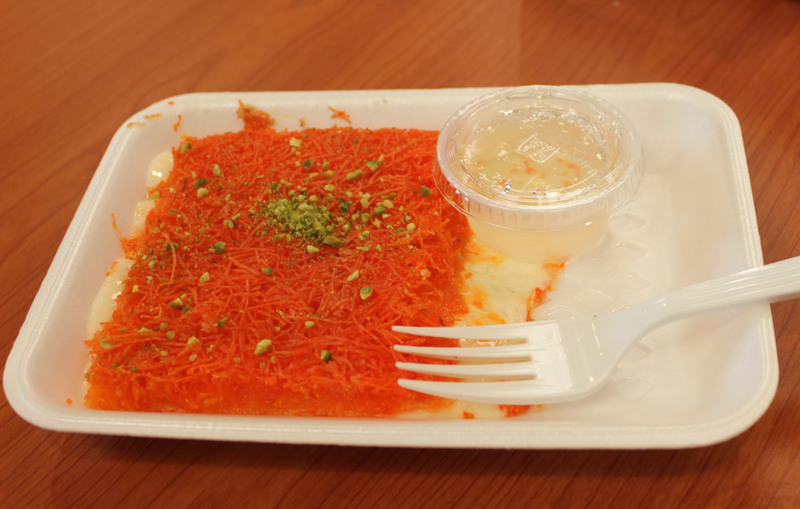 Ashta (a slang word for qashta in classical Arabic) is a Lebanese cream typically prepared with rose water and orange blossom water that produces a pleasantly light floral flavor. 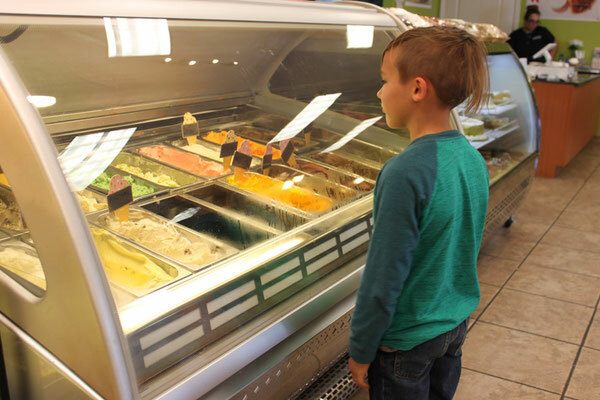 I decided to bring my children in to test the ice cream; with the hot temperatures in Phoenix it is always nice to find a local ice cream business to support. 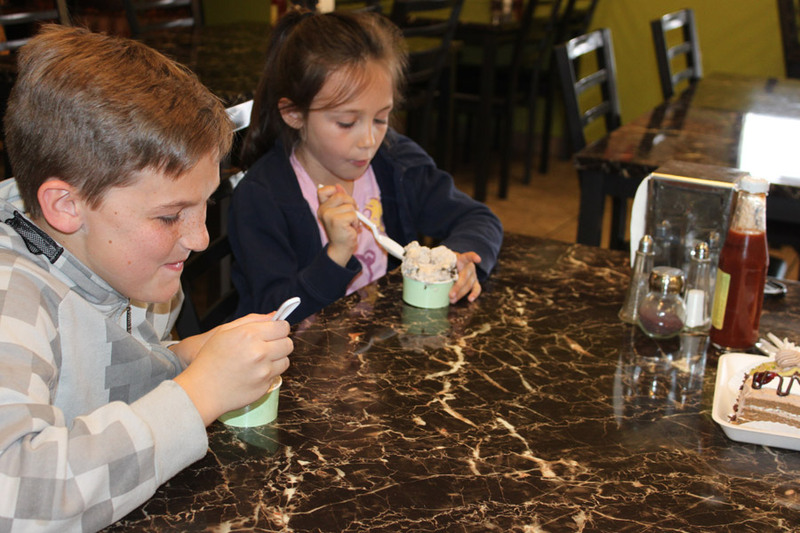 They loved the oreo and banana flavors they ordered and cannot wait to go back again. Michael also shared with me two lightly sweetened dessert dishes. 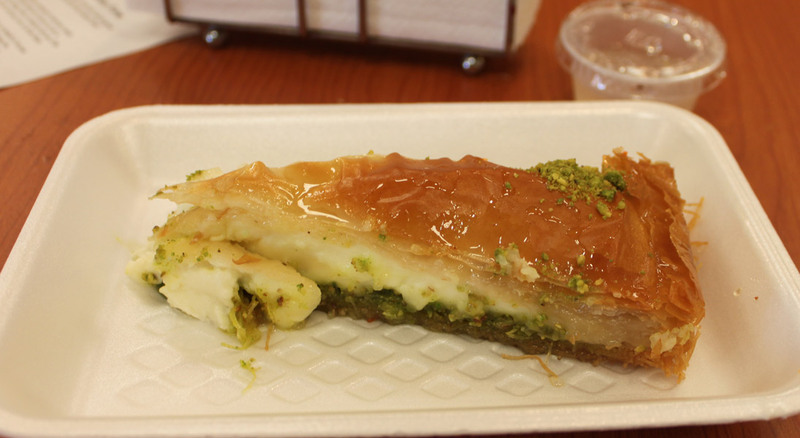 Kunafa cheese pastry is sweetened with honey syrup, and a baklava with ashta and pistachio made for two dishes I had never tasted before. The unfamiliar tastes were pleasant to my American palate. 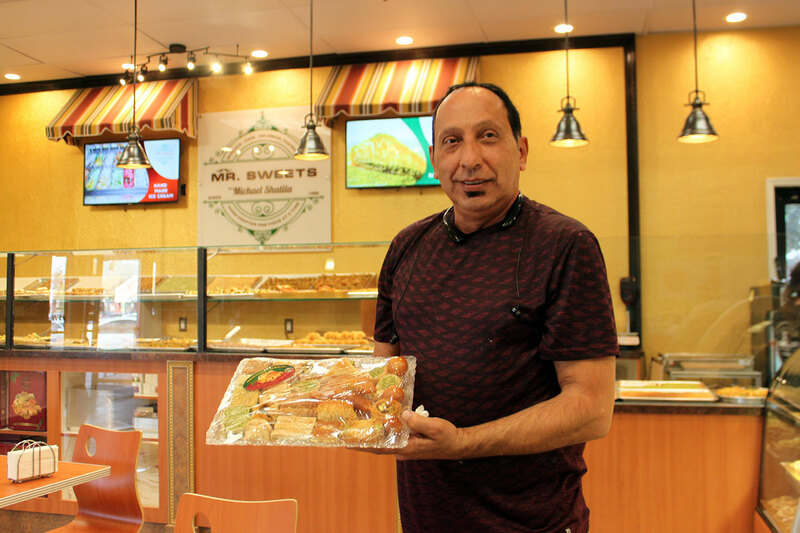 The visit to Mr. Sweets was not only delicious and informative, but made evident that Phoenix is home to many diverse immigrant cultures that share their traditions and recipes with each other. 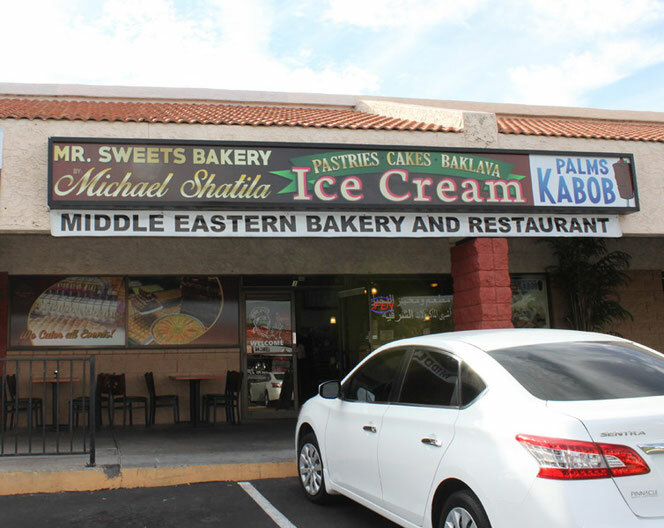 Michael Shatila brings his Lebanese culture into this Phoenix community where customers from various backgrounds can enjoy his pastries. 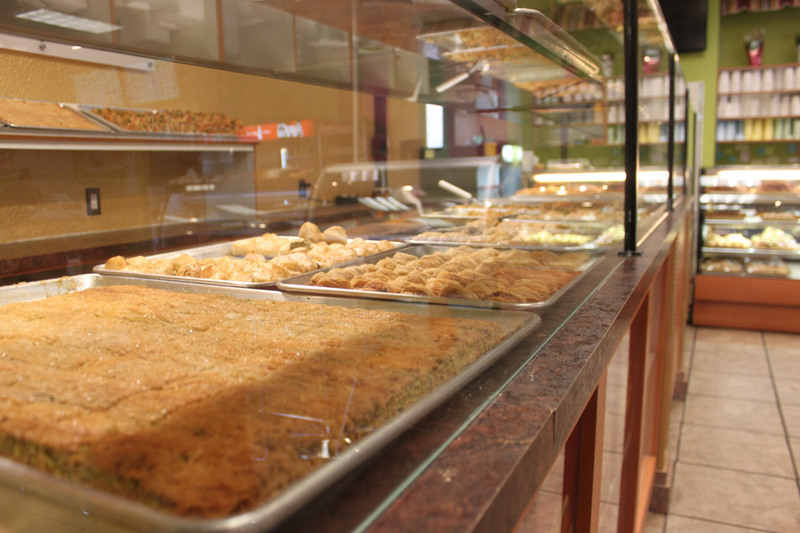 Lebanese Americans have carved out their place in the Phoenix community beyond eateries. 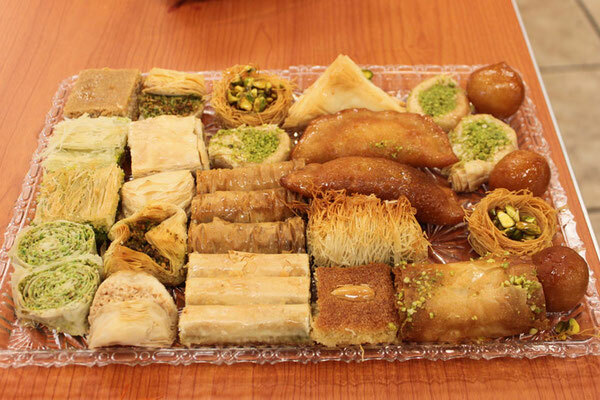 A Lebanese American Festival is held annually that shares Lebanese culture in the form of cuisine and entertainment such as live bands and Dabke dancers. 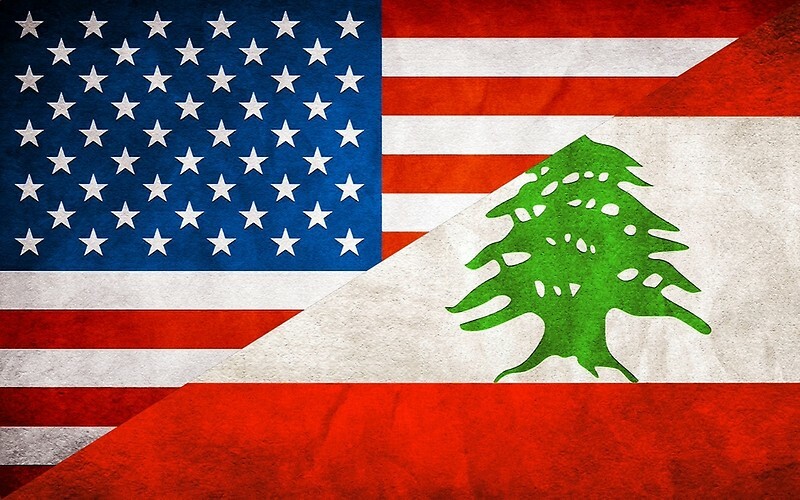 The Lebanese Community of Arizona (LARZA) is an online community that connects Lebanese Americans with other Arab Americans together in Arizona. A social media platform and community events are important for an immigrant population to feel comfortable in their new homeland, and the Phoenix community greatly benefits from their shared culture.